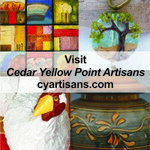 Welcome to the 2011 Cedar Yellow Point self-guided Studio Tour. Our artists and artisans have opened their doors and invite you to visit their studios, shops, galleries and farms - all full of art and superb craft. 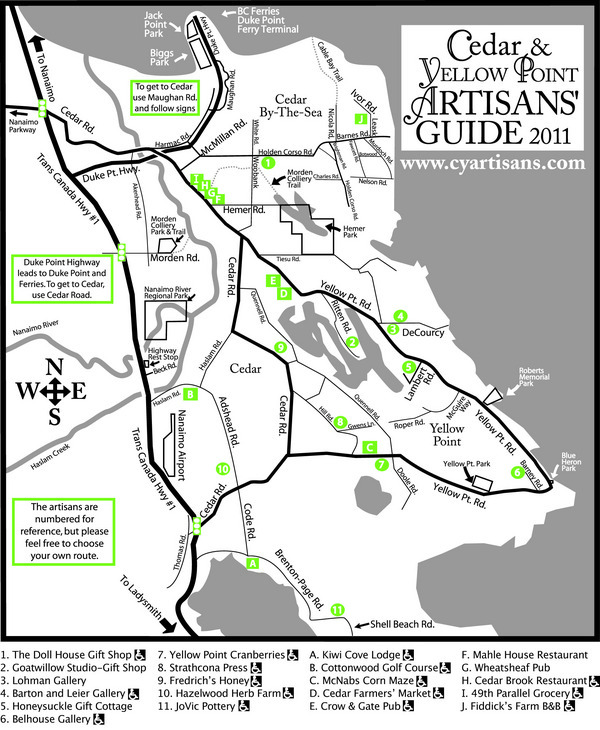 There is plenty to discover - and you'll fall in love with the picturesque waterfront and natural beauty of rural Cedar Yellow Point. Wonderful lodgings, pubs, restaurants, parks, rambling country roads and friendly locals are all here - what are you waiting for?